New work for String by Magnus Ingerstedt, styled by Lotta Agaton and photogrpahed by Marcus Lawett. String system | "The base in our history. Just as modern now as 1949 when designed. 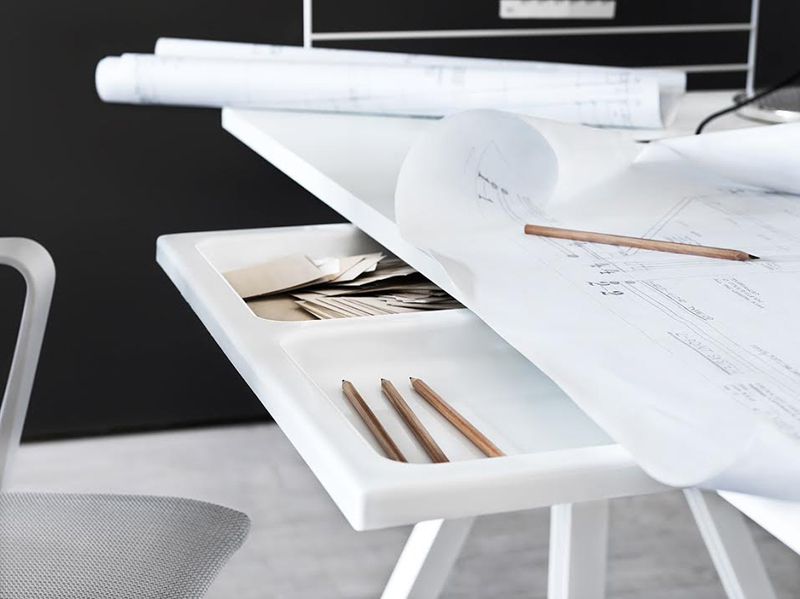 The flexibility and easiness with the system makes it a Scandinavian classic." String plex | "Is this a new design? we often hear. But no, the clear Perspex panels was designed in the 5o’s as a complement to the ladder shelf." String pocket | "The smallest member in our family. So small it fits in almost every space. Now in two new colors, green and cobalt blue." String works | "The newcomer. 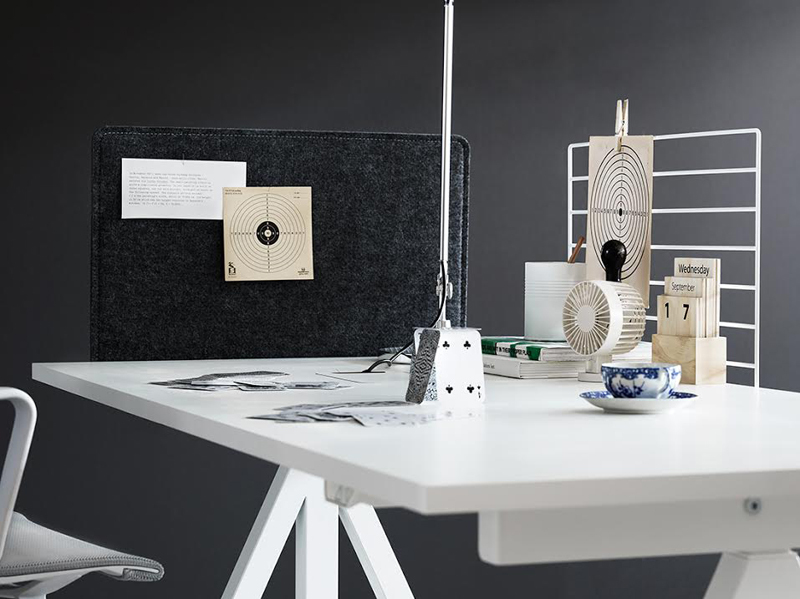 Designed by Björn Dahlström and Anna von Schewen it fits at home as well as in the office. 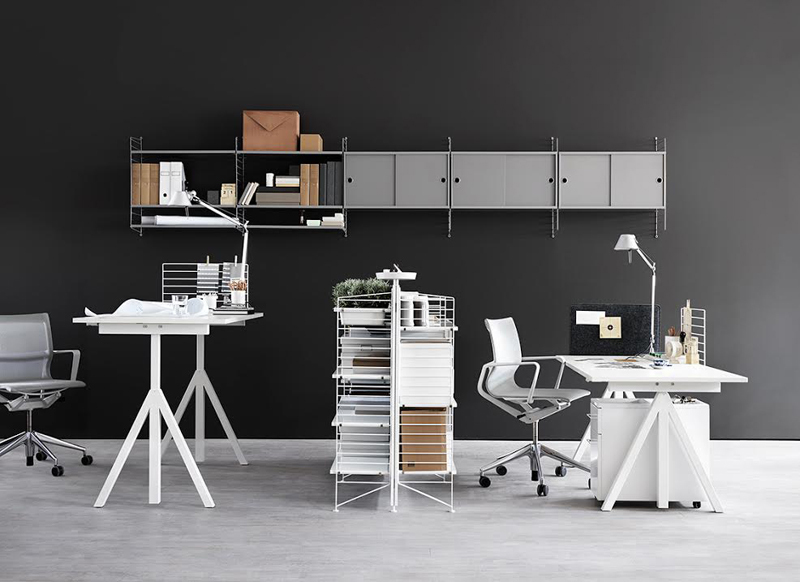 The height adjustable table and the free standing shelf makes it easy to create a flexible working space."